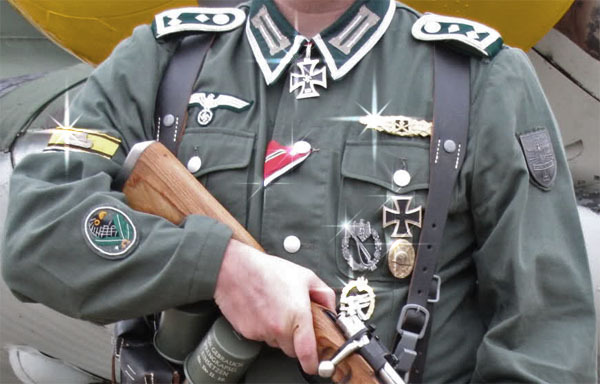 One of the things that makes Wehrmacht uniforms so appealing to certain folk is the opportunity to accessorise. 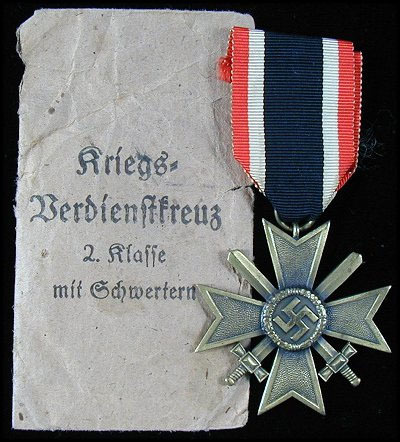 The gallantry and campaign awards of the Wehrmacht are all obsolete and, unlike a British or US impression, nobody will arrest you for unauthorised wear of a military decoration. When it comes to bling we are free to plaster as many badges and medals on our tunics as our budget will allow, right? If you’re interested in putting together an accurate impression, less really is more. Well, not quite. If you want to put together an accurate impression it’s worth knowing a bit about the awards you want to wear, what the criteria were and just how commonly they were seen. 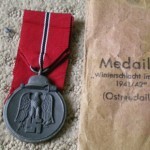 Your first place of research should be the excellent Wehrmacht Awards website www.wehrmacht-awards.com It’s primarily for collectors but is also a fantastic source of historical information for the WW2 airsofter. 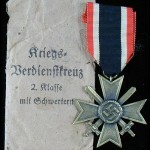 This was the most junior and also the most commonly bestowed combat award in the Third Reich. 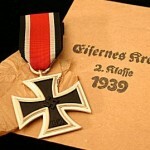 The criteria were acts of bravery whilst not under direct enemy fire or the planning of combat operations. On field tunics it’s worn only as a ribbon in the second buttonhole. Over 6 million were dished out. 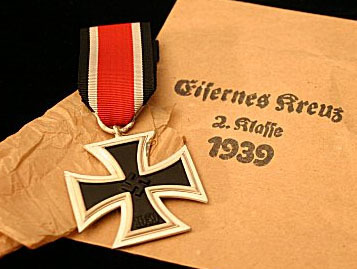 Considering that 18 million men served in the Wehrmacht, this award gets a BF of 1 in 3. Despite this, it’s rarely seen on an impression, either because it’s not considered “warry” enough but more likely because you can’t easily buy a repro ribbon for £2.99 on eBay. Around 5 million of these were awarded, which gives it a BF of just under 1 in 4 but you could easily be forgiven for thinking the quartermaster gave them out with every new tunic such is their popularity on the WW2 airsoft field. It’s also worn as a ribbon on the second buttonhole. Probably the most widely recognised of any award ever. Less than half a million were bestowed so BF of about 1 in 45. 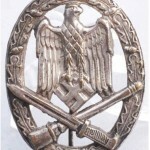 Worn as a pin-on badge or an embroidered patch on the left chest. 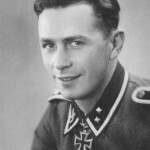 400,000 awarded – BF of 1 in 45. Also worn on the left chest. 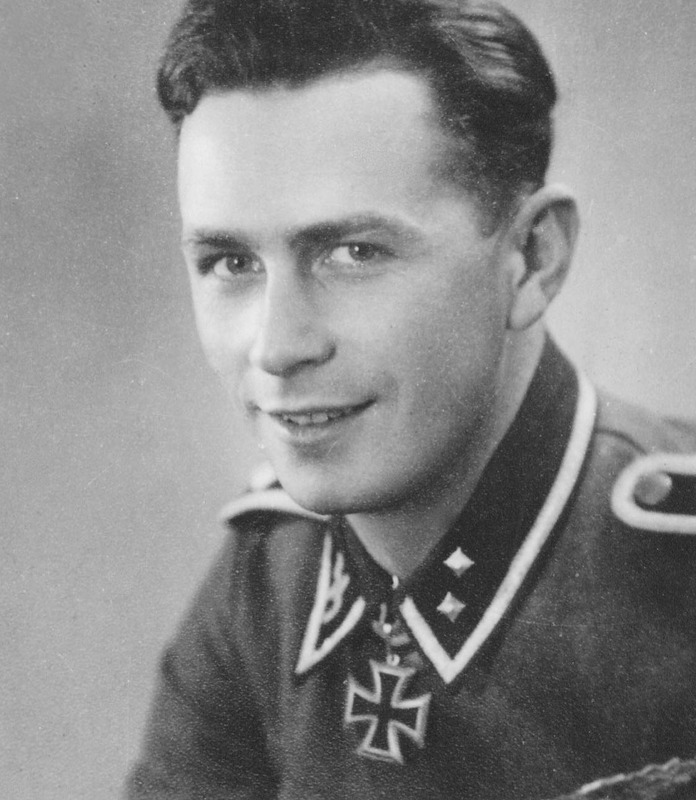 The Mac Daddy of Wehrmacht awards. 7,300 handed out – BF of 1 in 2,465. The Knights Cross could also be upgraded with the addition of Oakleaves, Swords, Diamonds and Golden Oakleaves – BF of 1 in 20,224, 1 in 112,500, 1 in 666,667 and 1 in 18,000,000 respectively. 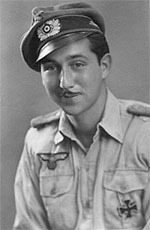 Apart from awards for gallantry, there were also a clutch of badges in various grades that were bestowed to recognise various proficiencies and combat experience. These include the Infantry Assault Badge, General Assault Badge, Wound Badge, Tank destruction badge, Anti Partisan badge and Sniper badge. Specialists such as drivers and radio operators also got little bits of cloth or metal to pin or sew on so as not to feel left out. Beware of the Close Combat Clasp however. The criteria for getting one of these was very stringent and they are therefore very rarely seen. Less than 600 gold versions were awarded, giving it a BF of 1 in 30,000 and making it less common than a Knights Cross with Oakleaves. 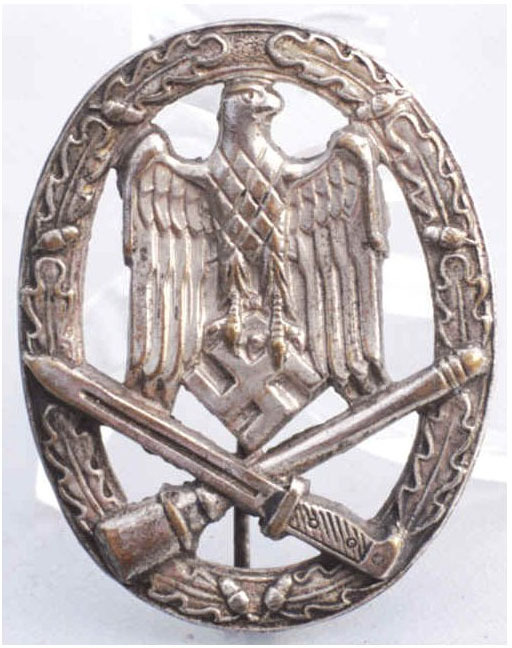 Equally the gold wound badge was rarely seen on a soldier who was still on active service as it denoted five or more wounds, total blindness, “loss of manhood”, or severe brain damage sustained through hostile action. 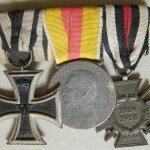 Medals and awards won in the Great War were also permissible on Wehrmacht uniforms. 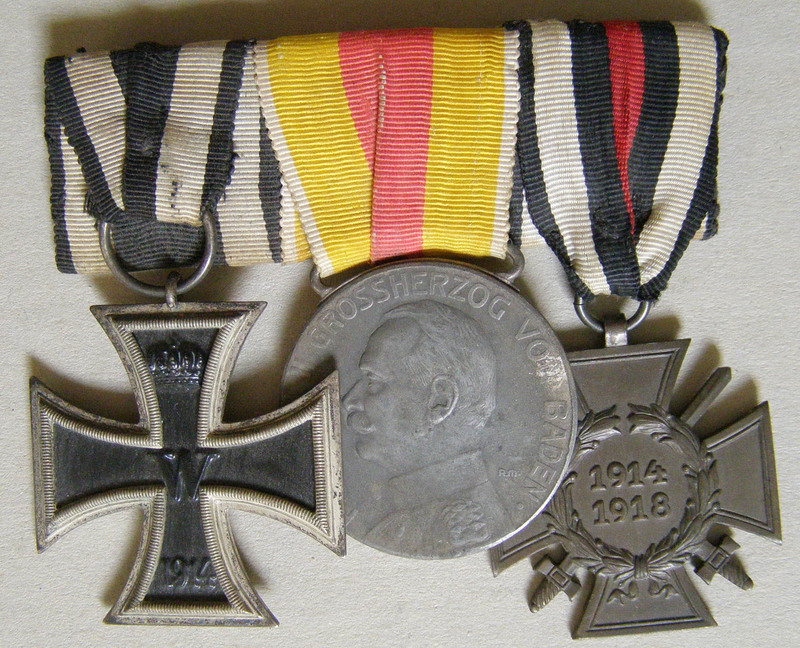 In 1934 the Cross of Honour or Hindenburg Cross was also awarded to every veteran of the Great War. 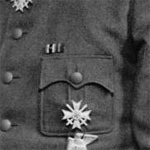 Veterans of campaigns that had been particularly arduous were also given badges or cuff titles to sew on their sleeves. 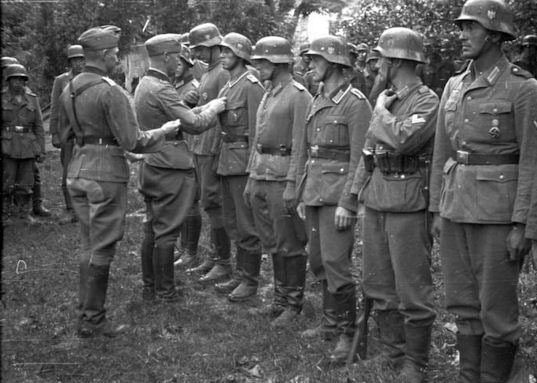 Over 3 million soldiers wore the Eastern Front Medal as a ribbon on the second buttonhole behind any ribbons for gallantry, giving it a BF of 1 in 6. As if this lot wasn’t enough, Hitler Youth membership and sports badges as well as certain political badges were also occasionally worn on combat uniforms. 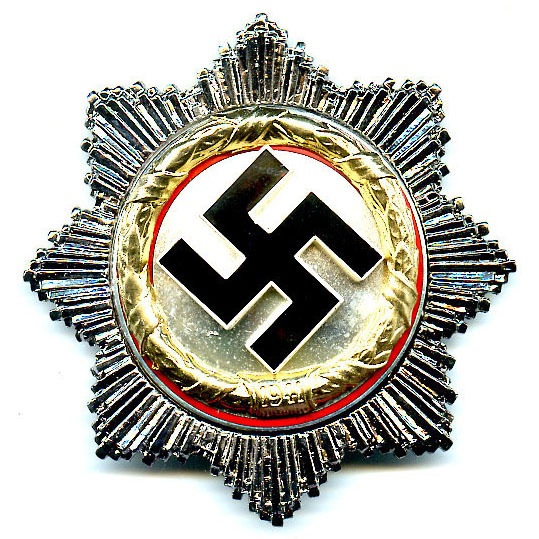 Some commanders forbade the wear of any non military badges, some allowed it. 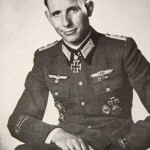 Despite the plethora of gongs, ribbons and patches that could be awarded, highly decorated soldiers like Otto Ernst Remer were the exception. Most soldiers had far fewer awards and many had none at all. The wearing of awards on summer HBT and camo tunics was not authorized (although some chose to flaunt these rules). 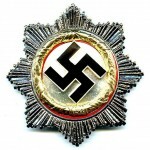 Awards also tend to be related to rank. Thus a general will likely have more awards than a major, who will likely have more awards than an NCO, who will likely have more awards than a private soldier. 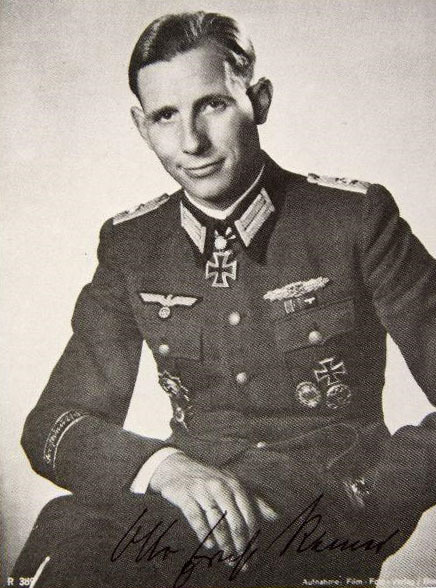 If your early war Landser impression includes more baubles than a Christmas tree, you’re probably doing something wrong. 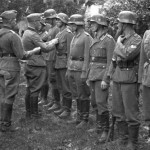 A good rule of thumb is to have no more than three medals, ribbons or awards on your tunic.